Diesel & Motor Engineering PLC (DIMO) has been bringing international brands and technology to give convenience and advancement to Sri Lankans for almost eight decades. While DIMO has won over the trust of manufacturers from every corner of the world, European brands have always gained extreme popularity in Sri Lanka over the years, due to their up-to-date advanced technology. Michelin is one such French brand that partnered with DIMO, which most Sri Lankans come across in their everyday life. 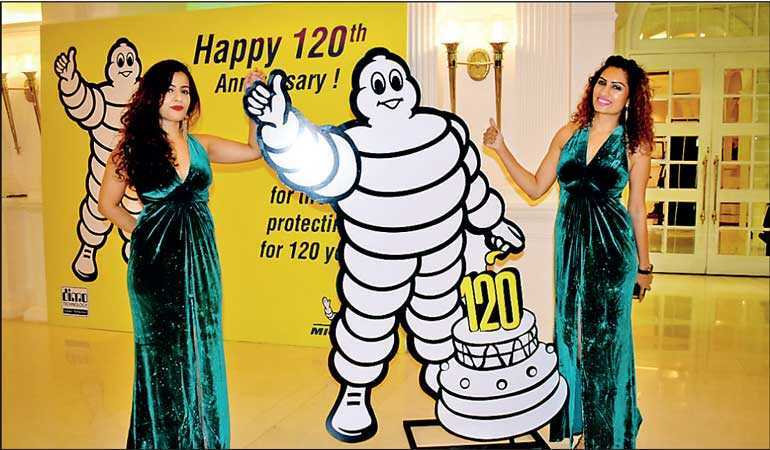 To consolidate the partnership and celebrate years of success, DIMO – an authorised distributor of Michelin Tyres in Sri Lanka will be celebrating the brand’s iconic Michelin Man’s 120th birthday this year. The iconic Michelin Man, with his cheerful demeanour, has been widely recognised around the world as the face of the Michelin brand since 1898. Michelin Man celebrates his 120th birth year in 2018. The character was born in 1898, followed by the imagination of the Michelin brothers and cartoonist “O’Galop”. Over the years, Michelin Man has accompanied generations of travellers all around the world, to reach their destinations. 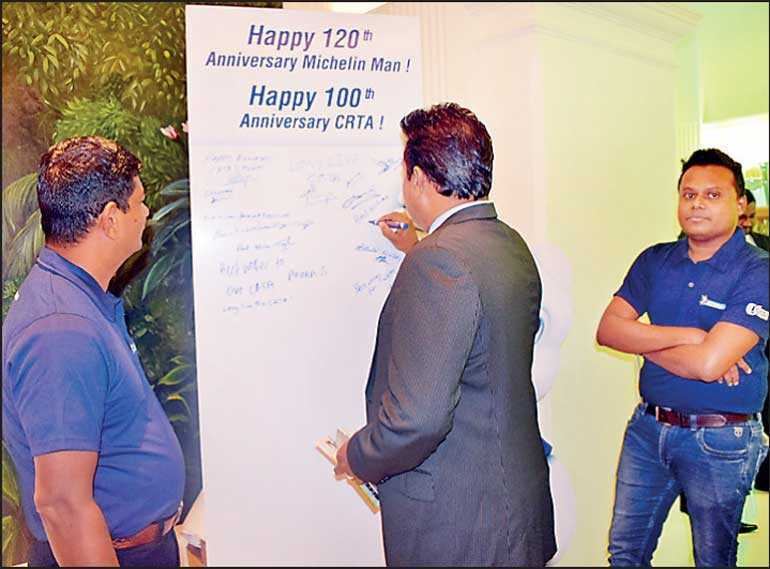 Commemorating Michelin Man’s 120th birth year, DIMO launched a special campaign to further strengthen the Michelin brand in Sri Lanka. DIMO will offer attractive promotions during the festival season to its Michelin customers while conducting awareness programs and customer engagement activities through this campaign. The campaign was officially launched at the 100th year anniversary celebration of Çolombo Rubber Traders’ Association (CRTA) where DIMO was the proud sponsor of the event. Global rubber industry plays a pivotal role in international tyre industry as a raw material supplier. This was an ideal platform to launch the Michelin Man’s 120 birth year campaign. Participants of the event were able to avail themselves for attractive promotions, and Michelin brand engagement activities. The Michelin man brings out key values of the Michelin brand, and the company’s mission to enhance mobility by putting into practice its core values of respect for customers, respect for people, respect for shareholders, respect for the environment and respect for facts. The cheerful Michelin Man has tirelessly kept people safe and comfortable for 120 years passing diverse milestones and transformations along the way. As per the Brand Finance brand directory, Michelin has been ranked Number One, honoured as the most valuable tyre brand in the world. Michelin holds leadership positions in many tyre markets. By leveraging its technological leadership, capacity for innovation, high-quality products, services, and powerful brand, Michelin has pursued a global expansion strategy and improved their efficiency in every aspect of business. DIMO has been an authorised distributor for Michelin brand in Sri Lanka for more than 25 years. As a responsible corporate, DIMO always explores avenues to touch the hearts of Sri Lankans, through its businesses while making a difference in their life styles and improving their quality of life, said DIMO Chairman and Managing Director Ranjith Pandithage. Michelin sales in Sri Lanka has been growing year by year capturing different market segments in the tyre industry. DIMO’s range of Michelin Tyres, including Motorcycle, Passenger car, SUV and Truck & Bus Tyres cover 100% of the geographical areas of the country. The dealerships comprise of long standing, reputed and recognised business entities in the country. The well-established Michelin brand is backed by the trust and the unmatched after sales service of DIMO.